Andrew Harris isn’t worried about his competitors in the construction industry. He’s worried about a tech giant turning the industry on its head and leaving the rest of them flat footed. Andrew Harris, head of Laing O’Rourke’s Engineering Excellence Group, is sure of two things: that the pace of technological change is so fast that virtually anything will be possible in the future; and that the construction industry is set to change dramatically. He wants to be at the vanguard of that change. He finds inspiration in some unlikely places: aerospace and Formula One. But he keeps his closest eye on Google. “Google bought a construction company a couple years ago, just to have a play with,” he said. But that’s only the beginning, says Harris. Of more concern to him is the new Google headquarters being built in California. “They decided that the program that they’d set, the productivity that they required to meet their budget and their design, was something that the traditional construction industry couldn’t deliver,” Harris said. Laing O’Rourke is better placed than most. They established their Engineering Excellence Group just over five years ago, and Harris said the idea came from the top, Laing O’Rourke’s Founder and Chief Executive Ray O’Rourke. “He’s a true innovator and has always wanted to cause disruptive change in the construction industry,” he said. Harris said O’Rourke realised that to be successful with the Engineering Excellence Group, it needed to be done differently. Their office is over the road from the Faculty of Engineering at the University of Sydney, where Harris is also a professor and director of the Laboratory for Sustainable Technology. Harris said he values links with academia and encourages that with his staff. He rattles off a list of universities including Sydney, UNSW, UTS, ETH Zurich and Stanford where his staff are actively involved in projects. “It was really important that this group was able to act as a bridge between the best that comes from our universities and industry,” he said. He feels that the universities benefit as much as industry, suggesting they are able to tell a story to the broader research community that their work goes beyond pure research and has impact. 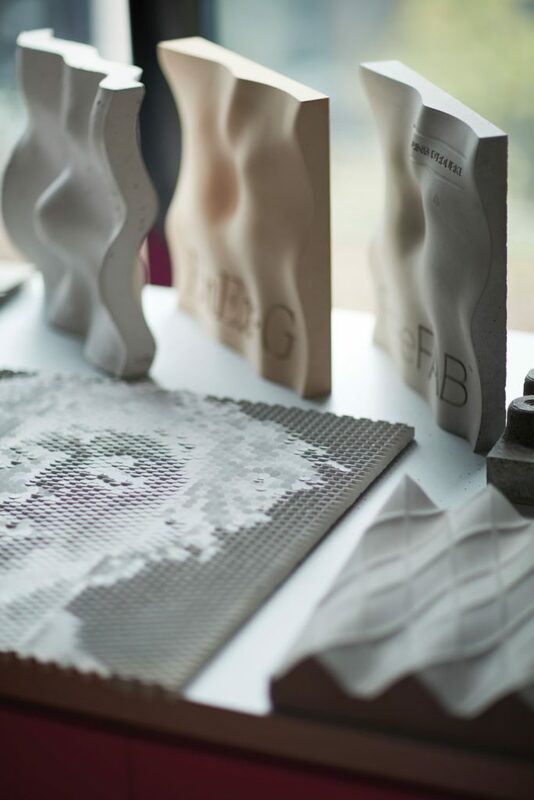 3D printed cladding samples on display. “We can tell some wonderful stories about how we’re doing work here in our labs that is benefiting the whole of Australia,” Harris said. He added that it also helps address concerns that Australian universities are poor at collaborating with industry and vice-versa. “I think there’s truth in both of those stories,” Harris said. Harris is adamant that innovation is not just about coming up with clever new ideas; the key is turning it into something that is commercially valuable. He is also wary of over complicating definitions of what innovation is. “There are only two types. There’s incremental, i.e. doing tomorrow what you did today, a bit better. That’s everybody’s job every day,” he said. The other key to being innovative is not being afraid of failure. “The reason we’re here and segregated from the business is, this is designed to be a safe place to fail,” he said, offering up exoskeletons as an example. “Maybe all the good ones go the Department of Defence and nobody ever hears about them,” he said. He said they still have an exoskeleton program, but it looks at other things. “It’s soft exoskeletons and they’re to prevent RSI rather than give you augmented lifting capability,” Harris said. 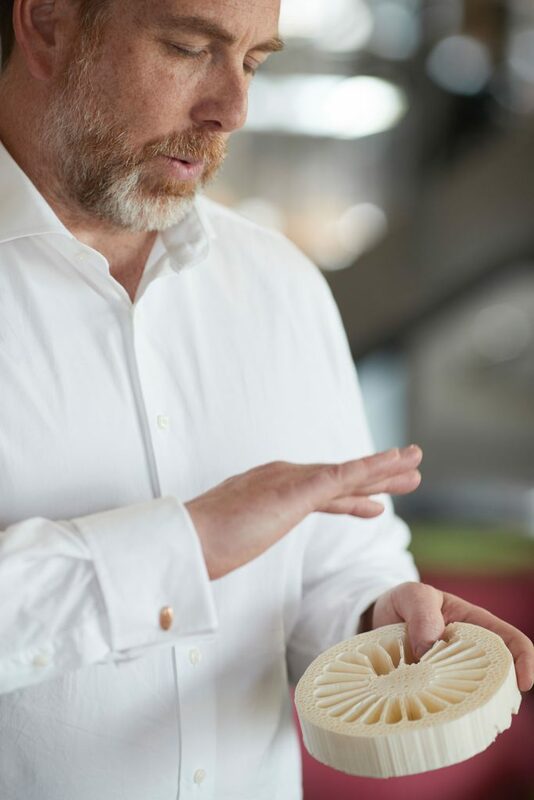 Andrew Harris shows of a 3D printed model of a structure inspired by nature. Part of Andrew Harris’s other job at the University of Sydney involves biomimetics, the reverse engineering of nature, and this is an area they are exploring at the Engineering Excellence Group as well. He shows a photograph that looks like a cross-section of bone and reveals it to be a magnified cross-section of a dandelion. “That’s what it looks like, no right angles ever. You have gradiated structures when you need strength and where you don’t need anything, there’s nothing,” he said. He said they have calculated that building such a column could use 45 per cent less material than for an equivalent conventional column and, with 3D printing, needn’t be more expensive to manufacture in the long run. But their ideas come from much wider sources than nature. He mentions a hard hat developed by the group that measures heart rate, brain activity, alertness, temperature, humidity and orientation. “This came about because in the UK, we borrowed some tech that McLaren uses on their Formula One drivers,” he said. Harris thinks that in the future, companies like Laing O’Rourke could have a “NASA-like” control room where their plant and people and equipment are monitored. But the original idea came from looking outside their normal realm of experience, in this case at Formula One. He said Formula One and aerospace are favourite sources of inspiration because they have to be at the cutting edge of technology to be successful. “They’re really a test bed for all sorts of things that are coming next,” Harris said. 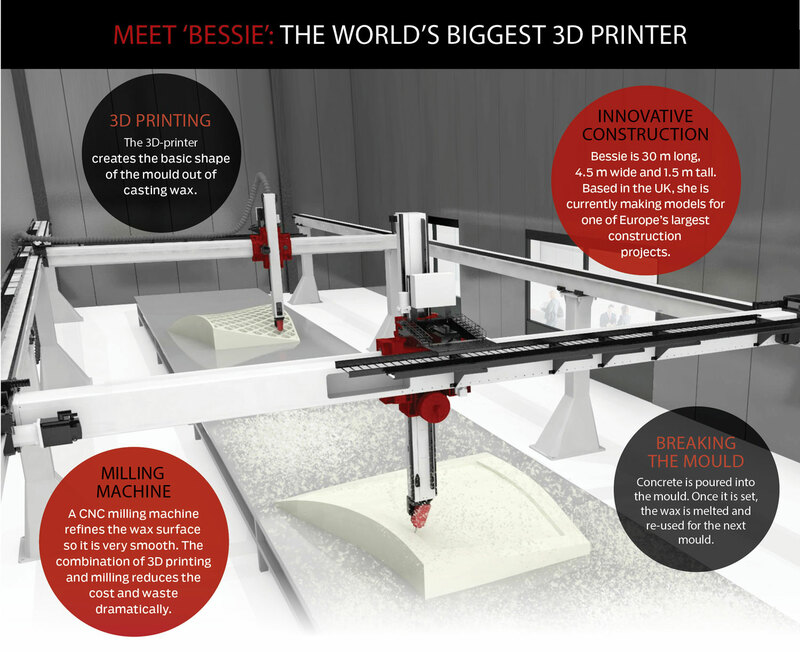 Harris said Bessie was designed and developed in Australia. One project Harri’s group has been working on involves augmented reality and, he says, it is now used on all of Laing O’Rourke’s projects. Using an Oculus headset, an individual can check how a development could be while looking at the actual site. He tells of a rail project in Melbourne and a man concerned it might spoil the view from his house The man spent about four hours exploring the project with the Oculus headset and his fears were alleviated. Another project involved mapping the utilities under Sydney’s George Street for the installation of a new light rail line. “Our solution was a digital model of those assets you can put in the cab of your excavator,” he said. Harris’s team is not restricted to civil engineers. They’re not even restricted to engineers. “They come from all over. That’s by design. Mathematicians, designers, engineers of every description, a lawyer, a musician. We’ve got people with skills in psychology and social behaviour,” he said. He gave the example of the SunSHIFT project, which started within his team and has since spun out as a standalone business. “It’s a redeployable solar energy system that is a hybrid system of diesel and battery, and the guy who developed it has a PhD in mathematics,” Harris said. And that is why he has chosen the team he has. He said he will take anyone from anywhere as long as they are smart, engaged and interested in the work being done in the Engineering Excellence Group. “I try to look for problems that are not in a little box that already has a name. I’m interested in where those boxes come together,” he said. “What happens when you get a biologist, a mathematician and an engineer in a room and they’re trying to solve a problem? That’s the stuff that I love. 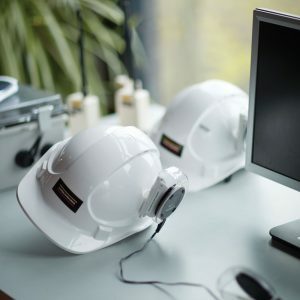 It turns out that those skills are even relevant in engineering and the construction industry where you’ve got complicated, unstructured environments with big challenges and you’re trying to deliver billion dollar projects. Christopher Connolly studied mechanical engineering before realising he was better at writing about it than doing it. However, he still fantasises about designing things: a better train system, solar-powered cooling, maybe even that moon rocket in the backyard.